Salford Red Devils back Niall Evalds has signed a new "long-term contract" at the Super League club. Evalds, 23, is a product of the Salford academy and has been at the club since the age of 15. 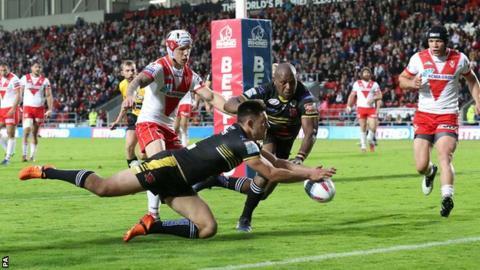 The Red Devils' 2015 player of the year signed his first deal in 2013, before extending in 2014, and is Salford's leading try-scorer this season with 11. Salford chief executive Ian Blease said Evalds had received "good offers" from other clubs but had decided to stay.